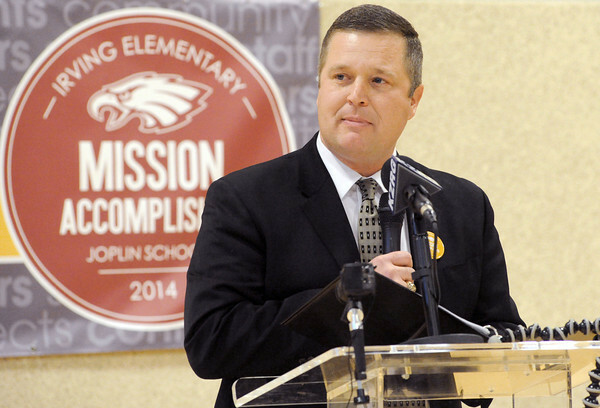 Joplin R-VIII Superintendent of Schools C.J. Huff speaks to students and guests during a ribbon cutting ceremony for the new Irving Elementary School on Friday morning. The $18.5 million facility replaces the former school, which was destroyed in the May, 2011 tornado.